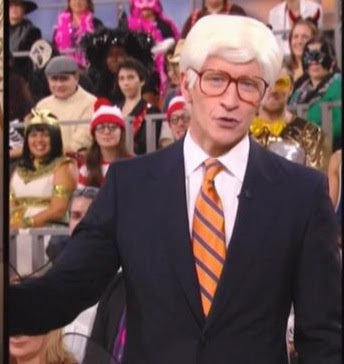 On today's ANDERSON we hear Mr. Cooper will be dressed as the legendary talk show host Phil Donahue. We'll have the clips and the lowdown for you later this afternoon. Live with Regis and Kelly was co-hosted on January 23, 2009 by Anderson Cooper and Kelly Ripa. The host chat contained talk of New Year's Eve, the Inauguration of President Obama, Wolf Blitzer, Rod Stewart, Blackberries, texting, bugs, germs and Jeopardy. 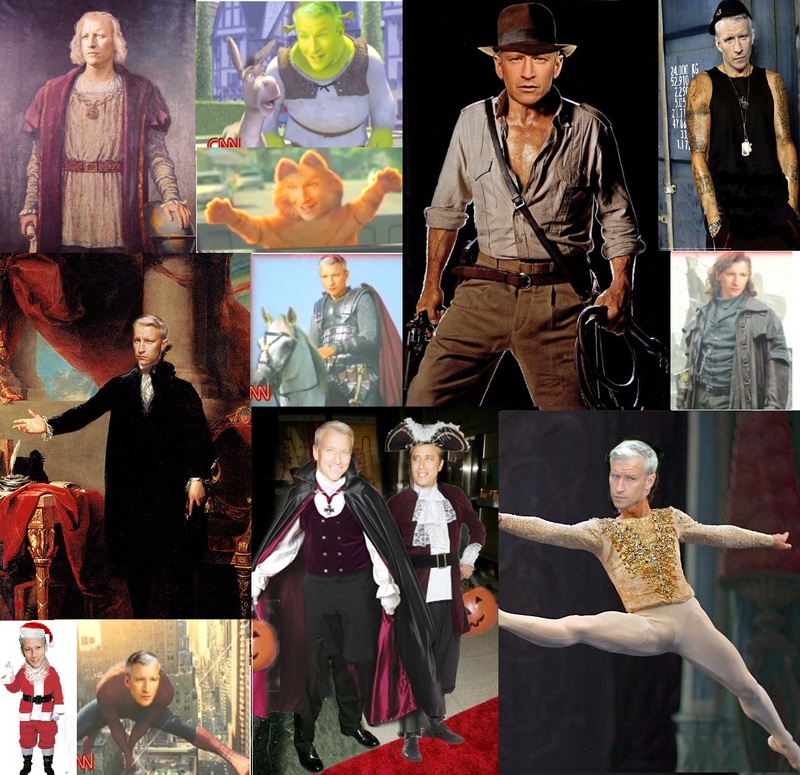 It’s Anderson’s Halloween spectacular! Anderson dressed in costume, receives a surprise visit from one of his daytime idols. Plus, Anderson invites psychic medium Lisa Williams to his house to find out if it really is haunted. Anderson sits down with latest DANCING WITH THE STARS cast-off Chaz Bono and surprises him with a call from his mother, Cher. Plus, a TODDLERS & TIARAS update and Anderson’s new “Try This” segment, where he tries substitute teaching a kindergarten class. Anderson talks to an extraordinary family in which the woman has two boyfriends. Plus, “BURIED TREASURE” stars; the Keno Brothers help viewers determine if their possessions are trash or treasure. Meet the 90-year-old sorority pledge. Anderson is joined by TV personality Jacque Reid to explore why people don't date outside their race. Plus, expert matchmaker Paul Carrick Brunson joins Anderson to provide tips to find your perfect mate. 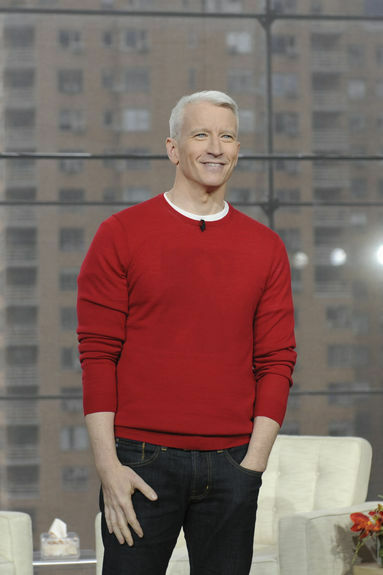 Anderson (CBS, 3 p.m., CTV, 5 p.m.) is, of course, the new daytime talker helmed by CNN news anchor Anderson Cooper. In literally every single interview he's done to promote the show, Cooper has stressed that he's decidedly not trying to be the next Oprah. White-haired man speak with forked tongue. There's a very strong Oprah vibe on Anderson, which veers wildly between lifestyle choices and breezy celebrity worship. At best, Cooper's choice of show topics is erratic. Some days it's dead serious stuff. His exclusive interview with the still-grieving parents of pop star Amy Winehouse was sensitive and provided heretofore personal insight into the life of the recently deceased musician. To delve into the subject of suicide, Cooper interviewed his own mother, socialite Gloria Vanderbilt, and shed real tears when discussing his brother's 1988 suicide. And then, star time! To date, Cooper has gone for a spray-on tan with Snooki of Jersey Shore and enjoyed a breezy girl-talk session with Sarah Jessica Parker. Comedian Kathy Griffin, with whom Cooper hosts CNN's annual New Year's coverage, spent a weekend at his summer house in the Hamptons with cameras rolling. 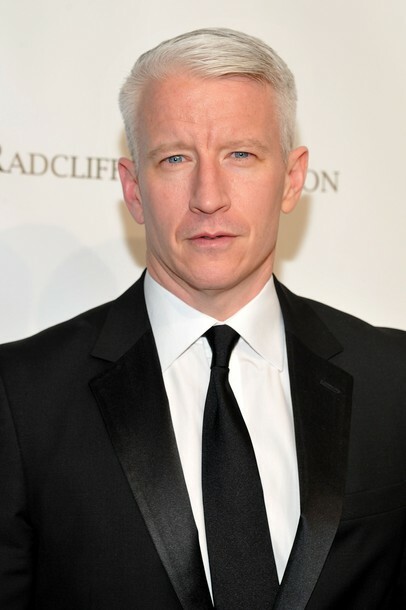 The only flaw to the Anderson format is that it unavoidably devalues the newsman gravitas of Cooper, who unexplainably continues to appear on CNN nightly. A fortnight back, it was unsettling to watch him hand out free puppies to members of his studio audience in the late afternoon, and then watch him report on events in Libya a few hours later. Anderson Cooper on Dot Ave.
Anderson Cooper stopped by the Club today (Monday) to talk with some members... and shoot hoops! A teen shot by someone he thought was a friend, as part of a gang initiation and left for dead, is Anderson's first guest. Ross and his parents were on stage to talk to Anderson about the event, his recovery and life today. 'Anderson' tracked down the man who saved Ross's life and they were re-united on stage. Anderson's final guest was Nafeesa, a gang girl in LA, and her mom Valerie. Valerie directed a documentary Gang Girl: A Mother's Journey to Save Her Daughter, in hopes of saving Nafeesa's life. Valerie worries that Nafeesa will end up dead. After a break, an ex-gang member of 20 years joined the discussion to give Nafeesa a wake up call. 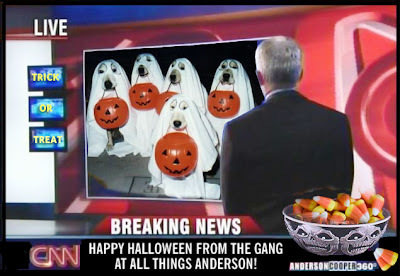 Anderson closed the show by thanking his guests, reminding everyone that the contest to have him come to your house for dinner begins next week, and encouraging viewers to tune in Monday for the 'Anderson' Halloween show. For more clips or information on today's program, please visit andersoncooper.com by clicking on the hotlink below. 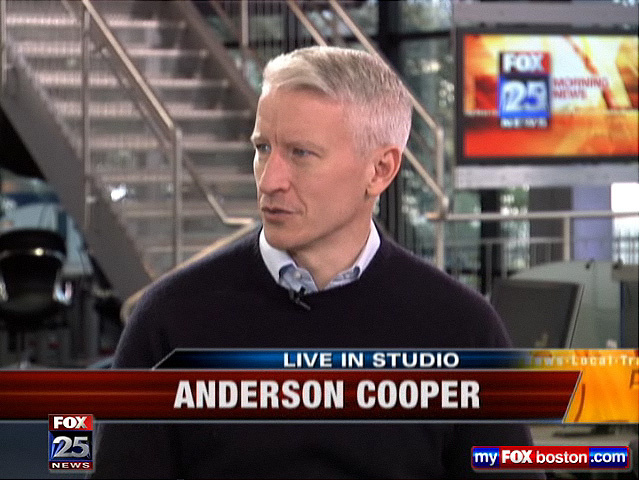 Anderson Cooper Stops by My Fox 25 in Boston & WJLA from DC Comes to the Set of 'Anderson"
Starting at about seven in the morning, Anderson Cooper's world is in full motion. There are meetings with producers and stage managers. Then walk-throughs and rehearsals at the Cooper set in Manhattan's Time Warner building. But Cooper works to make everyone feel welcome. I feel sorry for everyone in front row cause the light is right in their eyes and it’s a very tricky room to light and to deal with,” he says. During commercial breaks, he engages the audience telling stories about working with stars like Walter Cronkite. They will laugh and sometimes cry. And that automatic feedback is part of what Cooper says makes daytime television so great. “It's nice having an audience you get an immediate response and get to interact with the audience - it's cool,” he says. 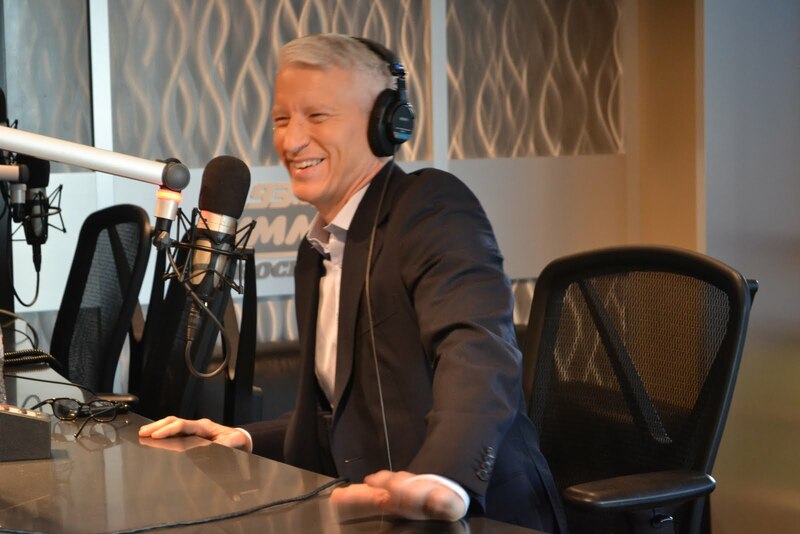 Once Anderson completes the two daytime talk show tapings, then his day at CNN begins and doesn't wind down until about 11 p.m. With such a hectic schedule, does Cooper have plans to slow down and start a family? “You never know. At this point I got three jobs I’m wrestling with,” he says. “We’ll see. You never know what the future holds. Watch ABC7's Cynne Simpson's full, unedited interview Anderson Cooper below. Anderson opened today's show talking about food; trying new foods and having a healthy relationship with food. For more clips and information on today's show, please visit andersoncooper.com by clicking on the hotlink below. 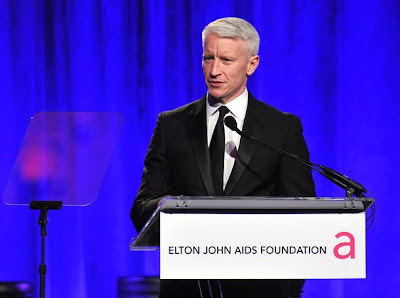 NEW YORK, NY - OCTOBER 26: Journalist Anderson Cooper speaks onstage at the 10th Annual Elton John AIDS Foundation's 'An Enduring Vision' benefit at Cipriani Wall Street on October 26, 2011 in New York City. Anderson Cooper arrives at the Cipriani Wall Street for the Elton John AIDS Foundation’s Tenth Annual: An Enduring Vision Benefit in New York October 26, 2011. "Extra" host Maria Menounos caught up with her pal Anderson Cooper to reminisce about old times -- and to talk about some exciting things coming up on his new daytime talk show, "Anderson." 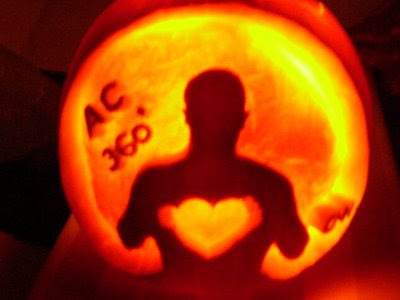 "For our Halloween special, we decided to have a psychic medium come to my house to determine if it is, in fact, haunted," Cooper said. 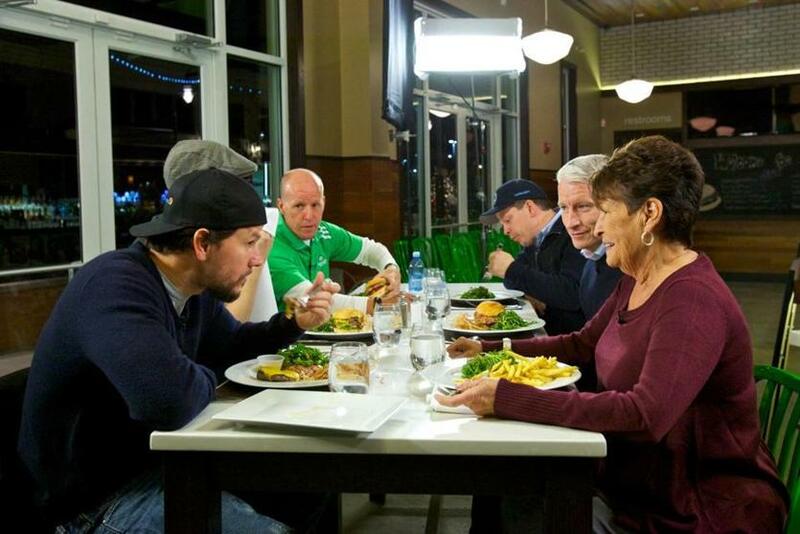 The talk show host also said his show is running a contest to promote family dinner night. "We wanted to do a show with a lot of variety to it. We're having a contest to have me go to people's house to have dinner with them. 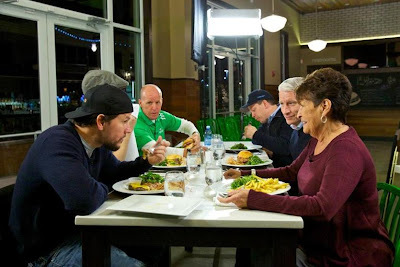 There are all these studies now about the importance of family dinners." Watch Maria's interview with Cooper!